The Apple iPad. It created an entire market. Before the iPad there was nothing. After the iPad there was true mobile computing, the freedom of the always on, always available device, the one-swipe window to the world wide web. Apple’s mobile operating system, iOS, and the concept of ‘the app’ redefined functionality on computing devices – small, focused applications highly optimized to a tightly integrated hardware and operating system platform, a platform that brooked no abnormal behavior and assured a commonality of user experience across the software application spectrum. It didn’t matter if you were running Angry Birds or a medical diagnosis tool, the touches, taps, swipes and pinches accomplished the same basic end in all apps. That was the genius of the iPad – an extraordinarily high degree of consumer satisfaction via the enforcement of rigid standards. It’s amazing that a borderline anarchist like Steve Jobs was able to convince legions of slavish fans and, more surprisingly, customers in whole new market segments, that the way to ‘be a rebel’ was to develop for, buy and use some of the most restrictive hardware and software ever brought to market. Amazing indeed, and it worked! The iPad and other iOS devices (iPhones, iPod Touches) have revolutionized how many companies operate and opened up new markets and business opportunities, some of which simply didn’t exist before the iPad arrived. So it is with GIS. Steve Jobs and Apple didn’t intentionally set out to create a geospatial hardware platform that is having a huge impact on my industry, they just created the development opportunity that permitted others such as ESRI to see the potential of the device and develop software to exploit that potential. 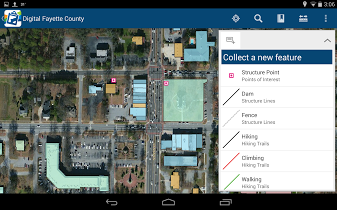 Beginning several years ago ESRI developed and steadily improved a small collection of applications that leveraged GIS data and services residing in their proprietary ‘cloud’. Over the past few years whenever anyone in my organization came to us and asked what tablet they should buy for mobile GIS our reflexive answer was (and still is), “get an iPad”. The choice made perfect sense. While ESRI also develops apps for other mobile operating systems – Android, Windows Phone, even Blackberry and the old Windows Mobile (aka, Windows CE) – ESRI today first develops against Apple’s iOS. The reasoning is simple – iOS has been stable for a long time and with it’s tight ties to a relatively small selection of Apple-only hardware it is fast and easy to build stable, well functioning apps. No so with the other operating systems, which seem to change almost weekly and are deployed on a bewildering array of hardware platforms. But what about the other players in the same market segment, particularly Android? When we first started testing GIS apps on tablets at TATSNBN (The Airport That Shall Not Be Named) we wanted to be as hardware and operating system agnostic as possible. We really didn’t know what our IT department was thinking about selecting for use across the airport. One week the rumor was Apple, then the smart money shifted to Galaxy Tabs, then it was (just shoot me now) HP tablets running their mobile OS, then later the meme shifted to the new Microsoft Surface running Windows RT. Early on I managed to get my hands on a Samsung Galaxy Player 5 running Android 2.3. The hardware was actually pretty good – a 5″ mini-tablet that seemed to offer a lot of potential. 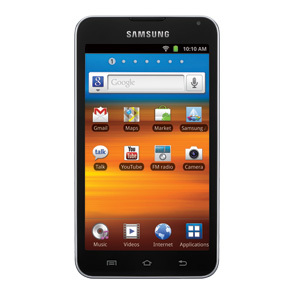 The Player 5 was Samsung’s answer to the Apple iPod Touch and it came in at about half the price. I really liked it. Too bad Android sucked. By this time I had a lot of experience with the iPad and iOS. I was using my personal iPad at work to test these GIS apps and my family members were heavy users of both iPads and iPhones. I had a deep understanding of iOS and the user experience it delivered. By comparison Android 2.3 was a kludge. Now, Android 2.3 wasn’t a bad OS. Far from it. I had a number of coworkers who were perfectly happy with their Android smart phones and tablets. If iOS had never been developed I’d have been singing the praises of Android 2.3 with an exalted voice. But iOS did exist, and by comparison Android 2.3 sucked. It was complex, counter-intuitive and difficult to learn and manage. It’s easy to see why Apple swept all before it. Eventually a limited number of airport-owned iPads made it into the hands of employees in our business units, and life was good. We only had to worry about supporting one platform. But then something happened. Android came a-calling once again. As word got out about the usefulness of our mobile GIS services an increasing number of employees at began asking if we could recommend a specific Android device that they might buy themselves for use at work. We tried to steer them towards iPads but many balked at the premium prices Apple demands for their products. They wanted to test a cheaper Android-based alternative. My old observations about Android 2.3 resurfaced and I felt uneasy recommending any Android tablet. However, in the intervening two years Google had become more aggressive with Android and had even introduced their own line of mobile devices. The specs on the Google Nexus 7 tablet released in 2013 looked particularly good. GPS/GLONASS, 5mp camera, digital compass, accelerometer, wi-fi, long battery life and a high resolution screen indicated that it would make a pretty good mobile GIS unit. Another bonus is that it was priced at less than half the cost of an equivalent iPad Mini. But it was still an Android device. The Nexus 7 tablet was running Android 4.3 (later updated to Android 4.4), the most current version of the OS. Reviews on the web gave it high marks, but most of the reviewers were long established Android fanboys so I had to take their observations with a grain of salt. Still, the capabilities vs. price comparison was compelling and many of the reviewers had a good point in that the Nexus line of tablets are Google’s own flagship devices and therefore will always be running the most up-to-date and stable version of Android. I decided to give the Nexus 7 a try. Well, four months into the evaluation I’m here to tell you that not only is the Nexus 7 running Android 4.4 good, in many ways it’s better than the iPad! So good in fact that I recommend it over iOS devices to people with no other ties to the Apple ecosystem (for example, folks who don’t already have an iPhone or iPod and who might like to take advantage of cross-device syncing). What makes it so good? It comes down to the old car salesman’s pitch: price, performance and features. Price – we’ve already covered this one. The Nexus 7 comes in at about half the price of a comparable iPad. Performance – fully as good as any of the iPad’s I’ve used. There may be differences in processor speeds, camera features, touch screen responsiveness, battery life, etc. but in the world of real use testing I see no difference between the Nexus and the iPad. Features – when you match the Nexus and iPad up feature for feature you realize that the Nexus matches the iPad in most areas and even beats it in a few others. The best example is GPS. The Nexus 7 comes standard with integrated GPS/GLONASS. If you want this same feature on an iPad you have to pay an additional $100 because only the more expensive data plan-ready iPads have integrated GPS. This is my biggest complaint about the iPad because it makes the basic (non-GPS) units all but useless as geospatial data collectors. Apple sees GPS integration as a ‘premium’ feature while the rest of the mobile world sees it for what it is – a commodity feature. With Nexus 7 you get GPS. Can’t always say that about the iPad! I do have to give the nod to the iPad in a few areas. First is build quality. Apple’s build quality is always top-tier, and the build quality differences between the iPad and the Nexus 7 are obvious. The Nexus is manufactured by ASUS and it feels exactly like what it is – a plastic bodied tablet. While the ASUS build quality is very good it in no way matches the solid industry leading build quality and feel the iPads are known for. But consider this – if I drop my iPad mini and break it I’ll stand there and cry, bemoaning the loss of my $530 jewel. If I drop and break my Nexus 7 I’ll just go order a new one. Next is screen resolution. OK, the Nexus is no slouch. In fact it’s pretty darned good – real good considering the price of the unit. Google put a lot of time and effort into getting the screen right, and it shows. But Apple’s current Retina display is the industry leader for a reason. It can’t be beat in terms of resolution, clarity, color fidelity and brightness. Do you give anything up by going with the Nexus? No, not in real use terms, but Apple has the clear lead here. The screen is just better. But at the end of the day do these differences matter? No, not really. Because here’s the real deal maker – the current version of Android, version 4.4, is damned good. From a user experience perspective it has moved way beyond the clunky fanboy experience that was Android 2.3. I’ll anger the legions of Apple fans in my family and state that Android 4.4 is as good as iOS 7.x. After my Android 2.3 experience I was expecting to have to deal with an immature, techie focused operating system. I was impressed to find instead a stable, mature, feature rich operating system that makes this a serious business tool. A large part of the improvement is Android 4.4’s tight integration with Google’s cloud computing environment, including Google Drive, GMail and Google Docs. In my opinion Google just has a far better implementation of these services and features than Apple does with its comparable products such as the iWorks suite. Is the Nexus 7 a perfect device? No, of course not. It won’t fit everyone’s needs, but I do recommend you give it a hard look before making what would otherwise be a reflexive Apple purchase. This entry was posted in Tools and tagged android, ios by Brian Haren. Bookmark the permalink.